MEET THE HOME DESIGN BRAND THAT CONNECTS KENYAN ARTISAN CRAFTSWOMEN WITH A GLOBAL AND MODERN CLIENTELE FOR INTERIOR DESIGNS. 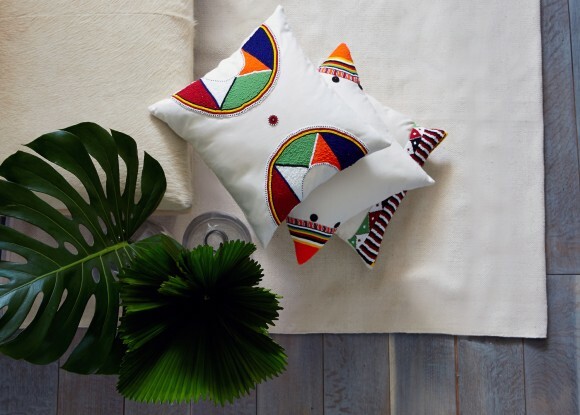 Ethical fashion and fair trade are at the centre of what they do; they work with Bebe Ravi cooperative to employ Kenyan Maasai women to craft beautiful interiors and beads. needle+thræd partners with the Bebe Ravi women’s cooperative that employs 50-100 women based in Nakuru, Kenya - an area with an unemployment of about 40%. Many of the women have been widowed by the AIDS epidemic, thus becoming the sole source of income for their families. By giving them access to revenue, not only are the lives of their children significantly improved, but the entire community is propelled forward. Each woman is paid above average wage and provided with free meals. Their aim? To find that common thread between style and substance and sustain families, communities and traditional crafts by providing fair wages. The Nigerian Government rather than keep promising employment opportunities that are not feasible could take a cue from this.